The "Lírio dos Vales I" group lives in the community of Maua, and it is formed by four borrowers. They are Neusa, Maria, Cicera and Vanicleia. 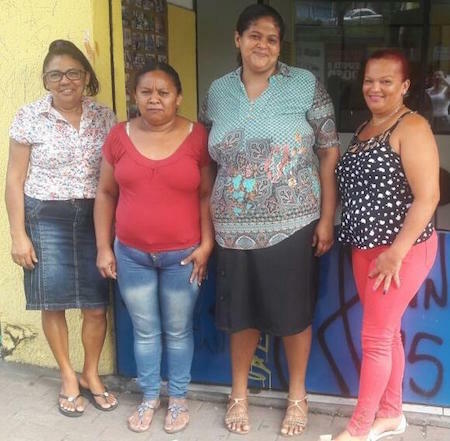 The are clients of the Banco do Povo Crédito Solidário (BPCS, Solidary Credit - People's Bank) and this will be their fourth loan with the People's Bank. All of the lenders are happy with the support that they received from Kiva. With the first loan, Neusa bought clothing, Maria bought clothing and jewelry, and Cicera bought prettier household goods to sell. Vanicleia is the leader of the group; she is married and has three children. He children are currently going to school. Vanicleia reported that all of the borrowers are hardworking and love their work. They are asking for this new loan to buy more merchandise and to renew their stock. They need the loan to buy purses, perfumes, household goods, and jewelry. The extra income from the loan will enable them to buy more merchandise, and to save some money. Vanicleia says that they are all happy because Kiva is helping them to achieve their dreams, and this loan facilitated a lot of work. They made their payments properly for the first loan, and they hope that Kiva will help them again. Congratulations to our group from Brazil!